Why become an Xtra VIP Member? Perks, perks, and more perks. You’ll also enjoy members-only access to shop our newest drops before everyone else, plus access to our specialty VIP bundle discounts and xclusive matching sets! 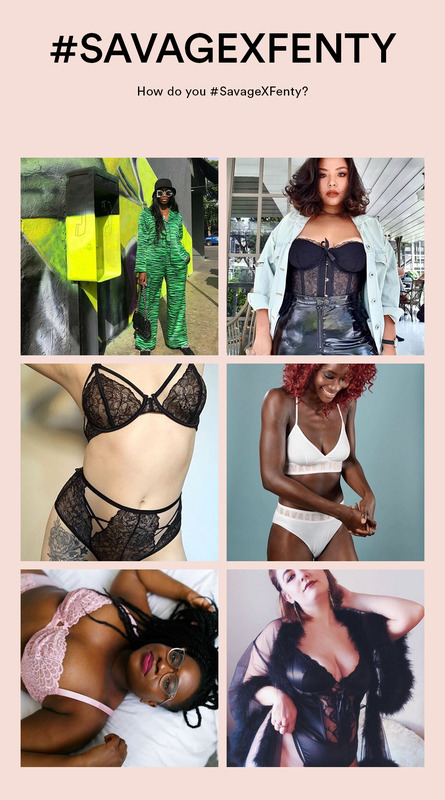 How do you Savage X Fenty? 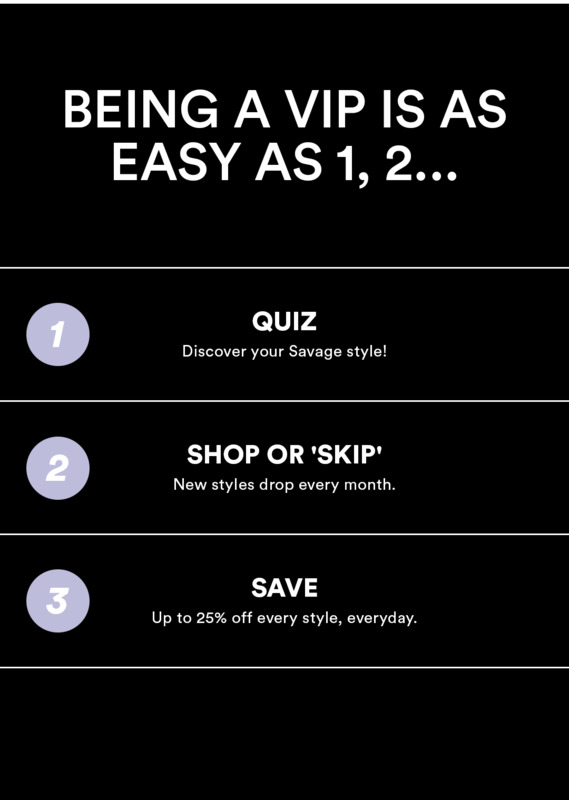 As part of the Xtra VIP Membership program, you will save up to 25% on full priced styles and get access to members-only Xclusives. By the 5th of the month, sign into your account and either shop or click “skip the month”. If you shop or skip you won’t be charged for a member credit that month. If you don’t shop or skip between the 1st and the 5th of the month, you’ll be charged £49.95 for a member credit on the 6th. You may redeem your credits at any time.